Here are a couple more 1983 Topps cards. 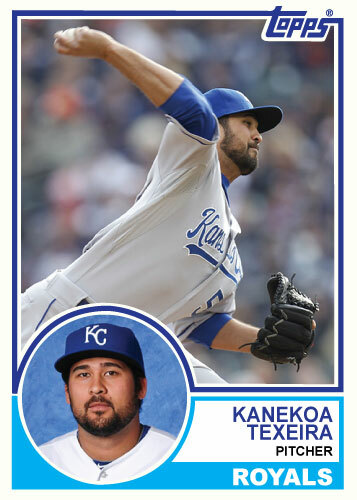 Kanekoa Texeira did pitch for the Royals this year but has since been sent to Omaha the claimed off waivers by the Yankees. I wish him the best of luck even though he is in the Yankees organization. 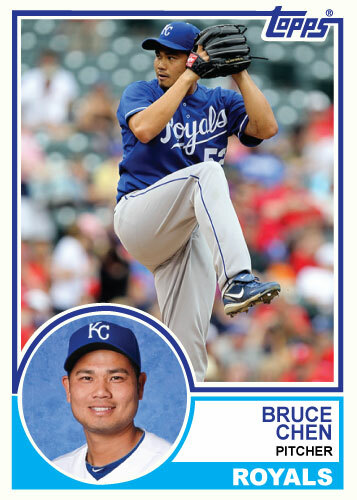 It seems like months since Bruce Chen has pitched. 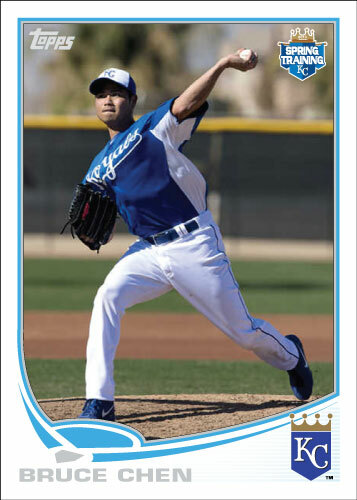 He has been on the disabled list for a while now and the Royals are all of the sudden very thin in the rotation. Putting 3 of 5 of your starters on the disabled list will do that. Starting rotation was: Hochevar, Francis, Davies, Chen, O’Sullivan and now is Hochevar, Francis, Paulino, Duffy, Adcock/Mazzaro? The Royals had really good luck with injuries but now all of this has gone down and even worse than all of this shining prospect John Lamb has to have Tommy John surgery.